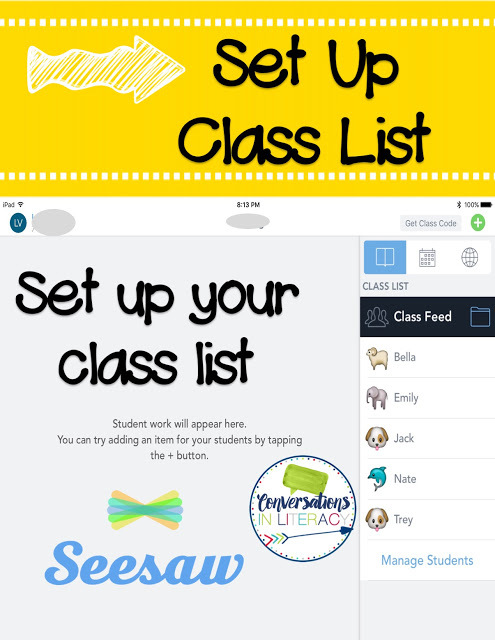 I’m so happy to share this guest post with you because it is about the one app that has changed my classroom the most – the Seesaw app! A big thanks to Lori of Conversations in Literacy for introducing this app and how she uses it as an amazing learning tool in her classroom. Hey everyone! 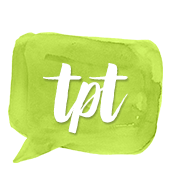 Tabitha is allowing me to come visit with you all today on her fabulous blog about parent communication. Thank you so much, Tabitha! I love sharing with parents all the wonderful things we do in the classroom. But let’s face it, time is a factor in that. It needs to be easy to do and in a format parents will readily go to and view it. 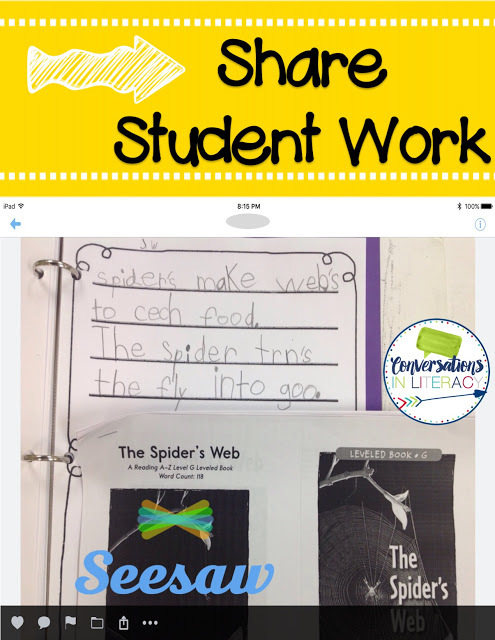 I discovered all that in the Seesaw app! 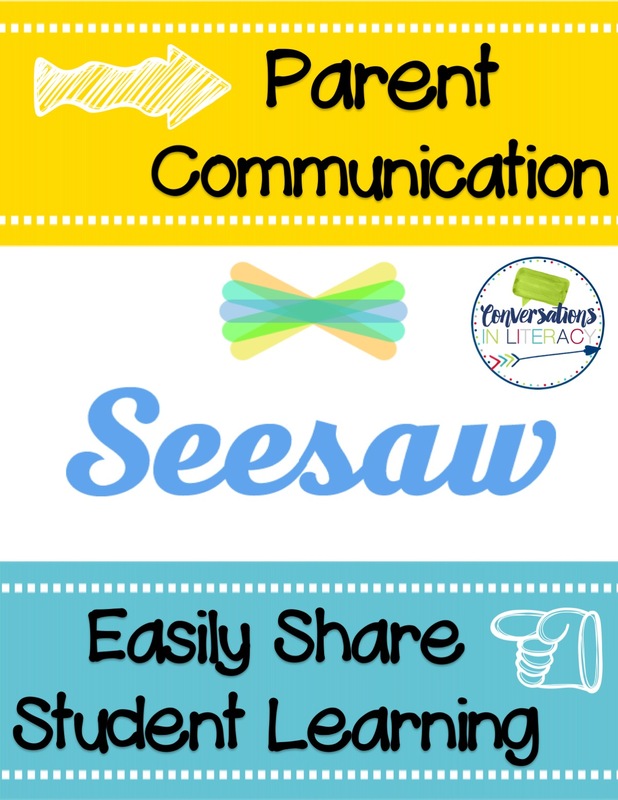 Seesaw is almost like a version of Facebook for parents and students. You upload the content, which takes all of about 3 seconds. Parents get notified that new content has been added to their child’s folder. The parent can then like the content and make comments! All from their phone! Set up was easy. Just download the app for class. Parents down load the parent app. Type in your class list. Once you have your list done, add in some pictures or video and a welcome letter. Seesaw generates a parent note with a QR code that they will use to log on for the first time. This letter also includes directions for them. This is all done for you! Just print off the letters and send home! 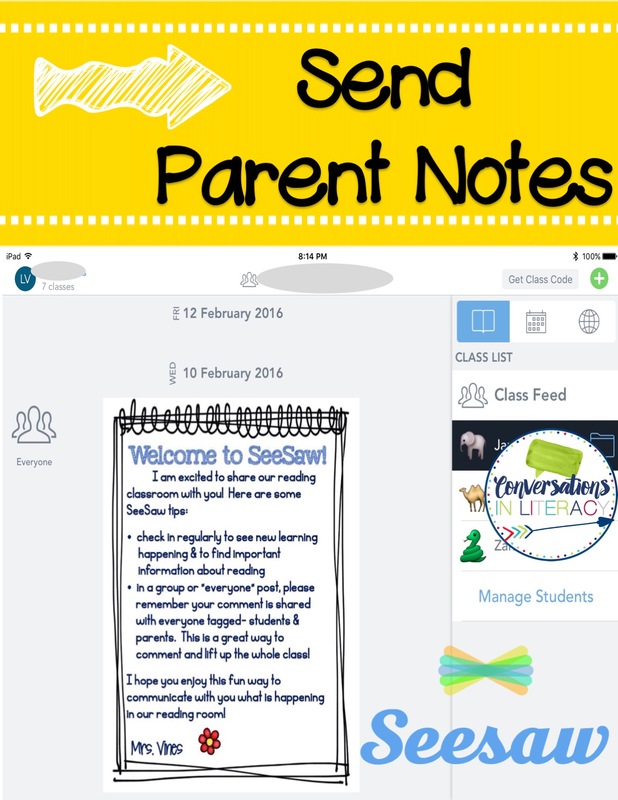 They recommend that you also add a welcome letter to each child’s journal so parents will see tips for using Seesaw. 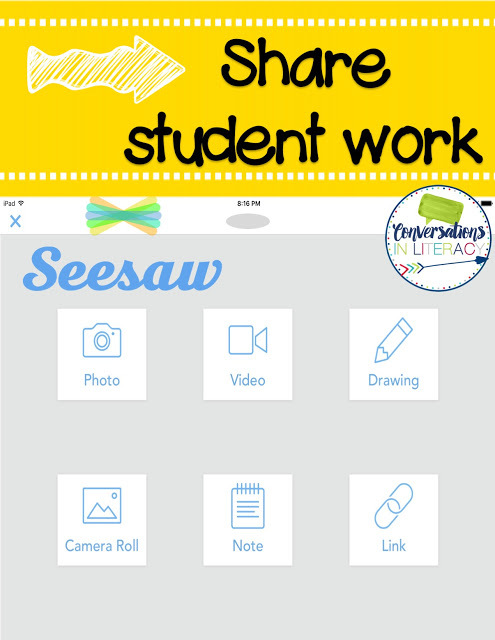 Seesaw provides a welcome letter for you, but I wanted to personalize it so I used some of their ideas and added some of mine. 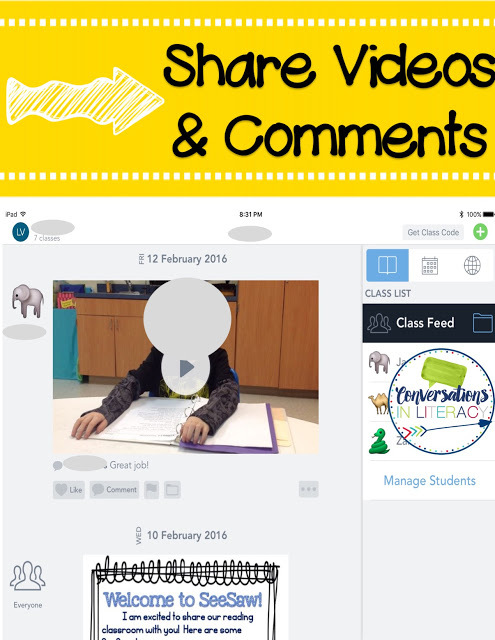 Now share all the wonderful learning happening in your classroom! You can easily snap a picture right from the app and then immediately share it. Truly, it just takes seconds. I sometimes snap pictures of what the students are reading or working on that day. I take pictures of groups of students working in centers and share it to all the parents with students in that group shot. You just tag the parents you would like to see the photo. This screen shot shows you the different options you have for sharing with parents. I really like that I can create a parent letter in color on my computer at home if I need to and then share it with everyone without having to make copies! And who sends out every note in colored ink? Costs too much. But with Seesaw you can! Since I teach reading, I like to share with parents their child reading once in a while. It was very easy to video students reading so parents could hear their fluency and improvement. Parents have told me that they just LOVE this app! I think they like it because they get notified when new content goes up and it is so easy for them to view it and leave their child a comment. Plus, you get notified when parents see the notes and pictures. So you can keep track of who is viewing everything. Seesaw will even send you reports of how much parent interaction you are getting. I hope you will try the Seesaw app! It is free for both you and the parents and so, so easy. I would love for you to come by and visit me! You can keep up with all the latest by clicking the links below. Thank you, Tabitha, for allowing me to come visit your friends today!! Is there a way to get that awesome welcome note for parents? I would like to post one to Seesaw as a welcome message.